If it’s not on every kid’s Christmas list this year, it will be soon enough. 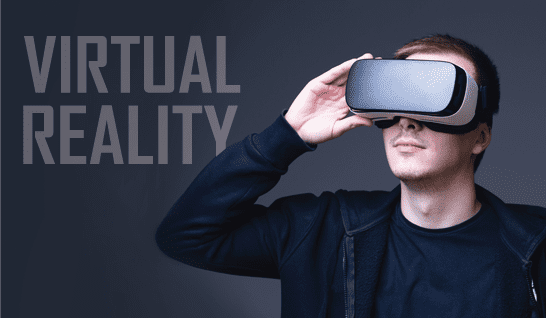 Virtual Reality (VR) is the next big thing in gaming and, with Google having released the Daydream View phone recently, VR will really start to change how people get their entertainment. While Virtual Reality headsets have seen some slow and expensive development over the years (Oculus Rift), Google is really changing the landscape by offering Virtual Reality viewers made out of cardboard for mobile phones that when paired with a VR app can offer the viewer a 360-degree, 3D interactive experience. VR works by presenting a slightly different image to each eye, so that when the brain puts both images together, it creates a 3D effect. The apps in the phone then additionally track your head movements to put you in a simulated environment. The most common side effects so far with VR are nausea and disorientation which can be even worse if the experience is poorly rendered. Looking at any object for too long of a time can create eye strain. Doctors also worry about the development of myopia in youth which many of these games are targeting. As a matter of fact, some people feel that children shouldn’t use the VR technology at all, since we aren’t sure of what the negative effects might be. Something else that can be a concern with VR technology is the exposure to too much blue light. Too much blue light exposure can interfere with circadian rhythms making restful sleep difficult, and there are concerns that it could be responsible for retinal damage. Some of the negative effects depend upon the brightness of the VR screen, the contrast of light vs. dark, and both the frequency and duration of play. As with any digital viewing, we recommend the 20/20/20 rule. After 20 minutes of any activity, look at an object 20 feet away for 20 seconds just to break things up and give your eyes a break. Another negative effect with VR is called past-pointing which happens after use. Your brain becomes used to viewing objects in the virtual world which can be slightly off from reality. After taking the headset off, the gamer can have a difficult time adequately estimating distance (for example try to grab something when it appears closer or further away.) This can really impede hand eye coordination and make moving around a bit dangerous. Believe it or not, there are some great benefits to this technology. Because each eye needs to work with the other eye, and the brain has to interpret what is being seen, the visual system has a self-correcting property. The eyes and brain learn to work together. This self-correcting property is what is currently being used in some Vision Therapy clinics through Vivid Vision. Vivid Vision has developed some programming specifically designed to help people overcome such visual processing issues such as amblyopia and strabismus. As VR tech continues to take off and find its way into homes, it will be more and more important to study its effects. Hopefully as it becomes more sophisticated, the negative effects will become less significant and the positive ones will create a viewing experience that can be beneficial for the eyes as well as entertaining.